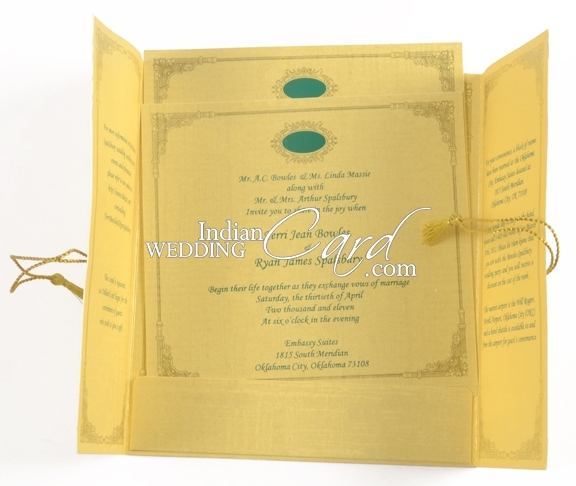 Paper: Gold color shimmery paper for card, 2 inserts, inside interleaf and mailing envelope. 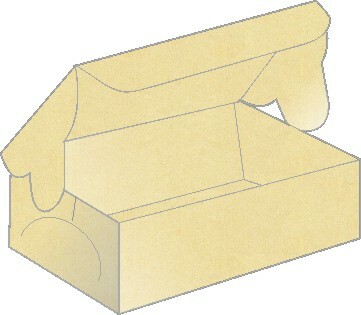 Description: Stylish and Designer stuff! 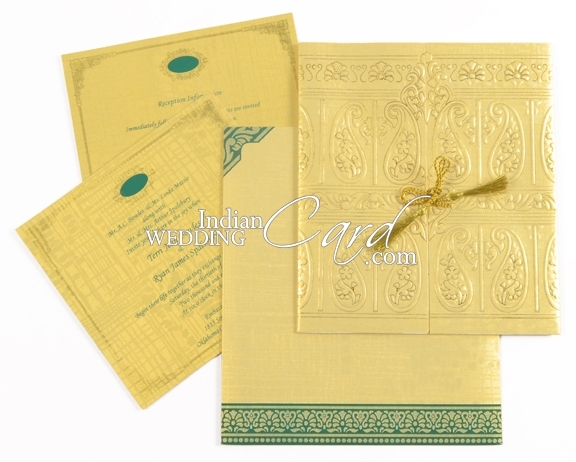 The card is door open with motif design printed in hot foil gold printing on front. 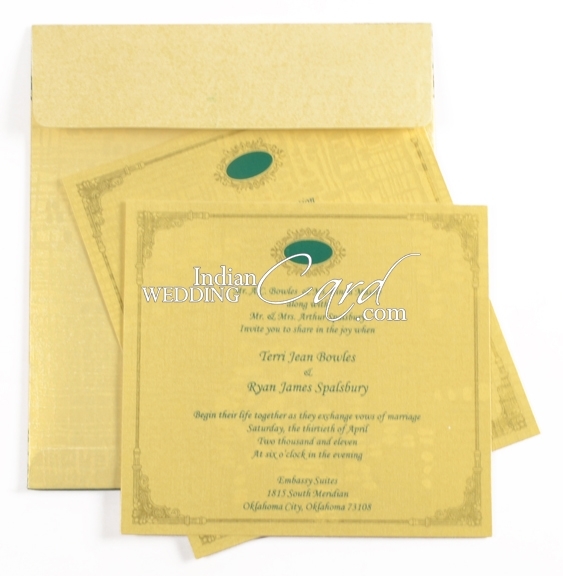 The inserts have Teal color oval design with gold border all around. 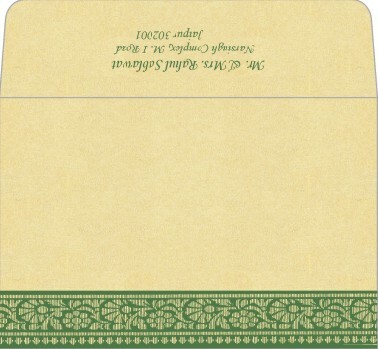 Envelope too follows the front design to teal color. Thank you very much. I have recieved the scrolls they are lovely, i actually got them on monday. Everyone loves it so be ready to expand your business to Africa. 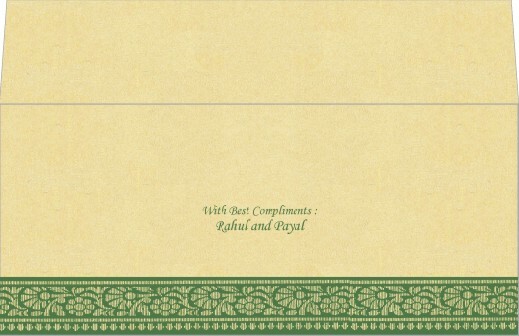 We received our invitations and WOW....they are beautiful and what a statement they are gong to make!! I must say that we were a little reluctant in placing an order being so far away, but after recieving the samples so quickly and getting the prompt replys back from customer service with the proofs, I was sold on A plus sales and service. 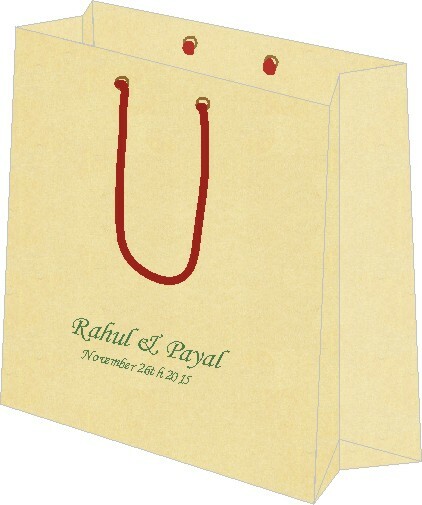 Scroll Wedding Invitations.com ROCKS!!! Thank you for such beautiful inviation and quick turn around time! 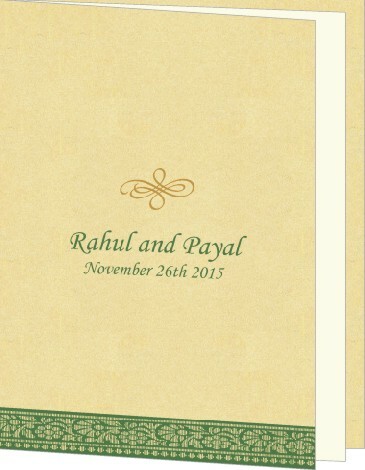 We received our cards on tuesday! They are beautiful and perfect! 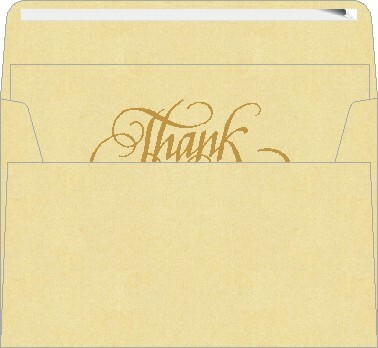 Thank you all very much for the good service! 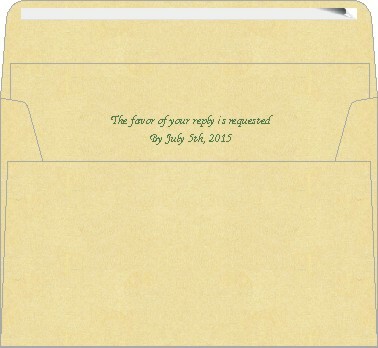 I have received the invitations and I am am just so happy. They look beautiful! They are perfect! As you know I have been waiting for this moment and I am so happy that I decided to have made business with you. 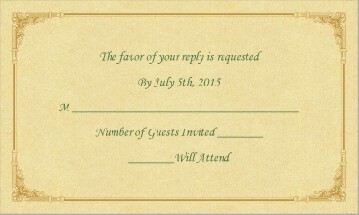 I have begun to disburse the invitations and so far people are extremely impressed with the invitations. I am sure this will make more business for you in the future!! Your services are exceptional! 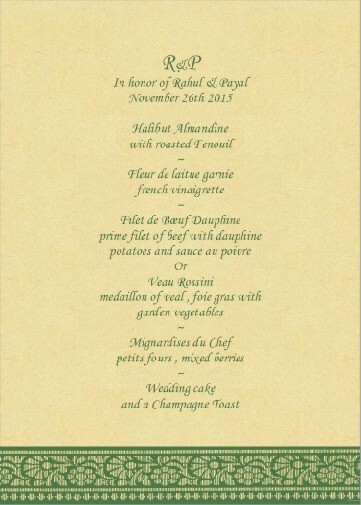 Everything was superiorly organized and I will would definitely recommend your company in the future! 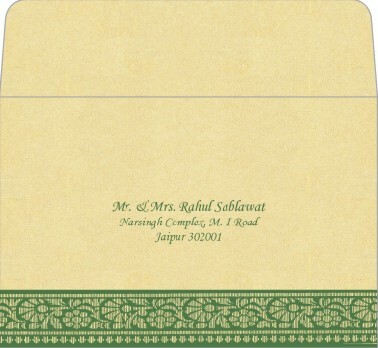 This invitation will be something that many will remember in years to come.